Gund has teamed up with everybody's favorite monkey – Curious George! 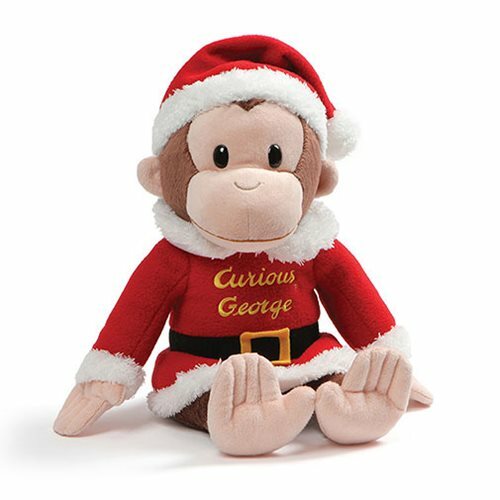 This adorable Curious George Holiday 12-Inch Plush features George ready for Christmas and all dressed up in a classic red Santa suit and hat with his signature written in yellow! Surface washable for easy cleaning. Measures about 12-inches tall x 8-inches long x 6-inches wide. Ages 1 and up.